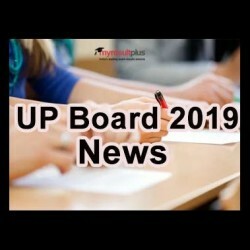 UP board exams have already started from today. There will be 31,95,603 students in high school, the examinations will be till February 28, whereas 26,11,319 students will sit for the Intermediate examination that will take place on March 2. The special thing is that Uttar Pradesh's Chief Minister Yogi Adityanath has greeted more than 58 lakh students who were present in this year's high school and intermediate examinations in the state. 31,95,603 students will take the high school examination, which will be till February 28, while 26,11,319 students will sit in the Intermediate examination, which will end on March 2. Both examinations have started from today. Uttar Pradesh Deputy Chief Minister Dinesh Sharma conducted a surprise visit to Navyug Kanya Vidyalaya in Rajendra Nagar on Tuesday morning. Officials said that for the examination, a total of 8,354 examination centres have been set up across the state, out of which, 1,314 centres have been identified as sensitive whereas 448 centres have been declared highly sensitive.